Dr Hans J. Langer is getting on board 3YOURMIND (the Technical University of Berlin Spin-Off) as Lead-Investor. This worldwide leading expert for 3D-printing feels confident about innovative software solutions of the start-up. The most recent financing facilitates rapid internationalization. 3YOURMIND GmbH announces the successful conclusion of its 2nd financing round. Within the scope of a capital increase, the Berlin company will obtain a seven digit sum for business expansion and rapid internationalization. Dr Hans J. Langer, founder of EOS GmbH Electro-Optical Systems located in Krailing near Munich, is now Lead-Investor. Dr Langer's company, EOS, is the worldwide leading provider of industrial 3D- printers in laser sintering. 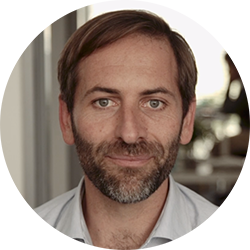 "We are pleased to have Dr Hans J. Langer, one of the world's leading experts in the field of industrial 3D-printing, on board with us as an investor", says Stephan Kühr, founder and CEO of the 3YOURMIND GmbH. "This financing round is a great milestone on our way to realizing our vision ─ with our online-platform we will make it easy for anybody to create and receive perfect 3D-prints from only the best 3D printing services." 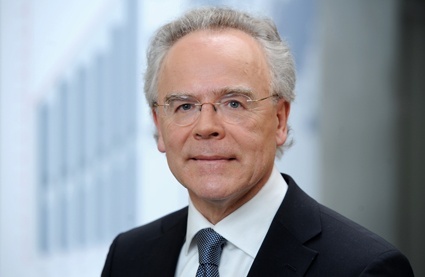 EOS founder Dr Hans J. Langer says about his recent investment: "3YOURMIND solves a huge problem to bring additive manufacturing to the broad masses: with the software of 3YOURMIND, 3D-data are analyzed and optimized for printing in a matter of seconds. This saves a lot of time and money. A tremendous additional benefit for the customers is the direct integration into the CAD programs." 3YOURMIND is a spin-off company of the Technical University of Berlin. The firm was founded in August 2014 and now boasts over 25 employees between their Berlin location and Polish subsidiary in Wrocław. The company launched the online-platform 3D-button.com in March 2015, which explicitly facilitates professional printing of 3D-data directly out of CAD-programs: 3D-data are being adjusted and edited at the push of a button, in addition, the suitable printing service provider can be compared and selected. Plugins for all established CAD-programs are available for free at the platform─ thereby users like engineers or architects can extend their software for automatic data correction and print preparation. 3YOURMIND has already convinced tens of thousands of users worldwide ─ observing 60,000 price and printing inquiries, at least, every month. Orders are already frequently placed on the platform from the USA, Germany, Poland, Russia and Great Britain. In addition, 3YOURMIND offers a full service for highly complex 3D-prints, starting from data preparation and re-modelling to delivering the fully printed 3D-models. Customers of 3YOURMIND are international enterprises, research institutions, ministries, and architecture offices. Partners include the worldwide leading 3D-printer and CAD-program operators. The company portfolio of Dr Hans J. Langer comprises, besides EOS (www.eos.info), other major companies in the fields of additive manufacturing and lazer technology. Moreover, as a Business Angel, he supports the growth of start-up companies in this sector.